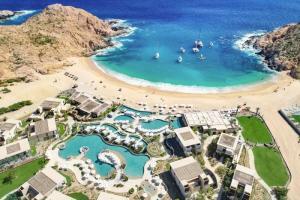 Perched on a finger of land between the Pacific Ocean and the Sea of Cortez, Los Cabos enjoys a location unlike any other. On the western side of the Baja Peninsula, resort guests have privacy and a view of the breathtaking and turbulent ocean waves. On the eastern side, protected waters make for excellent swimming. 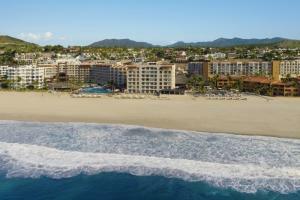 The local area, too, has everything you need - newer Cabo San Lucas offers upscale development, shopping and nightlife, while the older town of San Jose del Cabo is quieter and more intimate, with narrow streets and small markets. 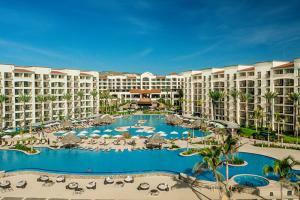 Browse our Los Cabos all-inclusive deals and vacations online. Pacific Our 3-Star classification designates those properties where guests experience an ideal mix of comfortable accommodations and modern amenities. Most of these hotels feature a variety of services, and offer distinguished style and comfort. 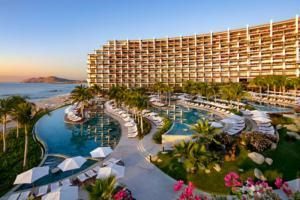 This picturesque resort is close to the action of Cabo's lively entertainment scene. Corridor Our 4-Star classification designates those properties with well-appointed, deluxe accommodations, extensive amenities and comprehensive guest services. Expect attention to detail and a warm and hospitable staff ready to cater to your needs. These superb properties offer a truly refined getaway. This colonial-style beachfront resort features traditional decor and a wealth of amenities. Cabo San Lucas Our 3.5-Star classification designates those properties where guests experience an ideal mix of comfortable accommodations and modern amenities. Most of these hotels feature a variety of services, and offer distinguished style and comfort. Half star indicates that the hotel/resort meets all criteria of the designated rating and exceeds in certain areas. All-Inclusive - Overlooking Cabo's famous arches, this resort offers a wealth of amenities and entertainment options for the whole family. All-Inclusive - This lovely all-inclusive beach resort offers guests attentive service and ultimate comfort. San Jose del Cabo Our 4-Star classification designates those properties with well-appointed, deluxe accommodations, extensive amenities and comprehensive guest services. Expect attention to detail and a warm and hospitable staff ready to cater to your needs. These superb properties offer a truly refined getaway. Corridor Our 5-Star classification designates those select properties that provide exquisite service and amenities. 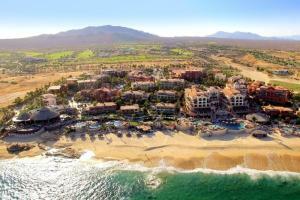 The discriminating traveler will find the accommodations, ambiance, dining, and staff assistance of the highest caliber. 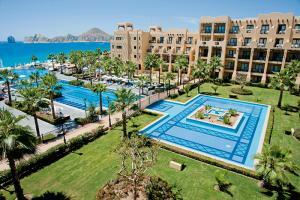 These properties offer the utmost in luxury and will provide an outstanding experience. 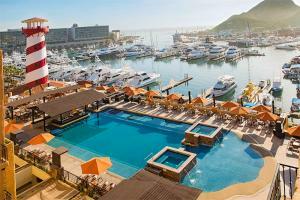 Surround yourself in luxury at this magnificent seaside resort on the sweeping shores of Santa Maria Bay. All-Inclusive - This new luxury all-inclusive beachfront resort features all suites, five gourmet restaurants, 24-hour room service, world-class spa and three infinity pools.